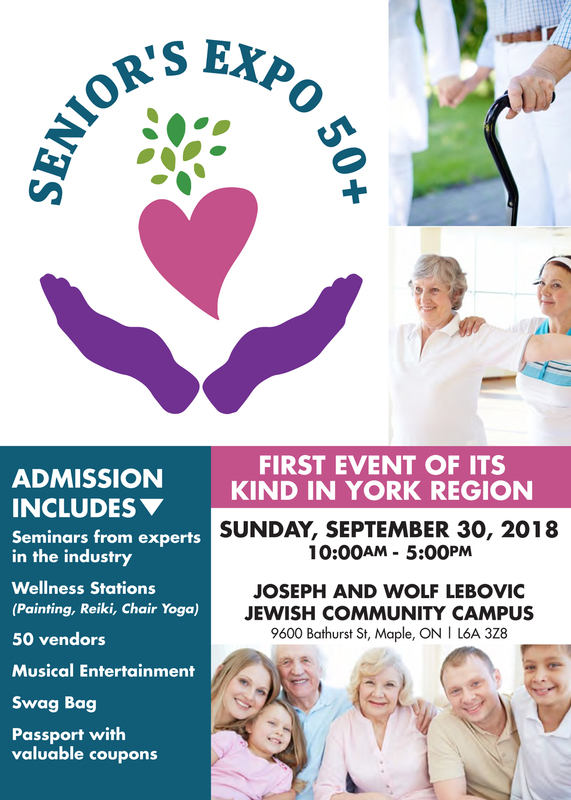 Come join us for an inaugural Senior’s Expo 50+ in Vaughan geared to you and your family! This event is presented by Ronnie's Home Care, an exemplary agency offering home support from expert PSWs and nurses. Learn from experts in gerontology – short seminars on aging well. Visit our vendor marketplace – representation from Memory and Company (north America's first country club for people with memory loss), TravelOnly (specializing in wellness cruises), RBC, Voxx Life, Scott Funeral Home, Aphria, Retirement Homes, Mobility Companies, S.M.A.R.T Realty Solutions, World Financial Group, Vaughan Chiropractic, Angel Massage Therapy, Investors Group and more!